The Musée des Arts Décoratifs (MAD) is a museum of the decorative arts and design located in the Palais du Louvre's western wing, known as the Pavillon de Marsan, at 107 rue de Rivoli, in the 1st arrondissement of Paris, France. It is one of three museum locations of Les Arts Décoratifs. To the connoisseur of luxury and style, this museum is a vast trove of wonders, perhaps without equal on the continent. The evolving fashions and cosmopolitan savoir faire of French life unfurl in a stunning panorama of the decorative arts from the Middle Ages to the present. Superb and delightful objects and techniques of every kind are presented: The 150,000 works are first organized chronologically to shed light on their evolution, and then in a separate sequence of ten beloved period rooms. 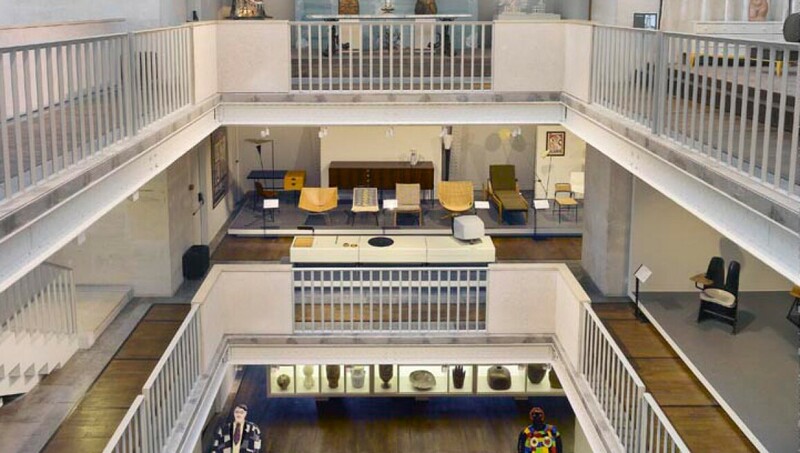 The museum also hosts exhibitions of fashion, advertising and graphic art from its collections from the formerly separate but now defunct Musée de la Publicité and Musée de la mode et du textile. Constance Guisset Design: Actio !